Do you ever get tired of bringing the same types of appetizers to parties, or for that matter to your own party? There are certain dishes people come to love that I bring, and I’m sure you as well. It gets boring though creating the same dish over and over again, even if it is delicious. So why not break the mold this time, and create a platter or bowl of Roasted Olives? Olives use to get a bad rap, but they actually have a host of health benefits that will have you filling up your plate. Did you know olives are actually considered fruit? Most people think of them as a vegetable. 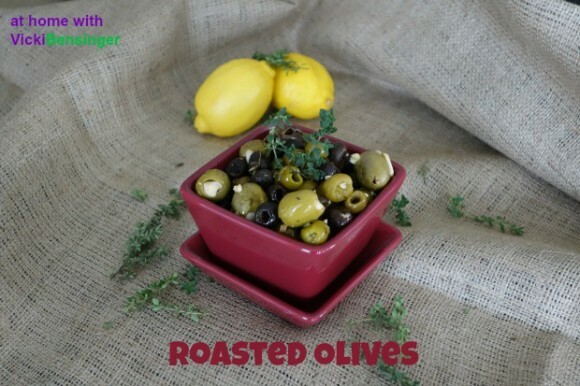 The recipe below is so simple that even if you’re tired of making that same old appetizer, you could still have that, plus have time to prepare these Roasted Olives as well! I recently made these for a class and they were gobbled up in a matter of minutes. So check out the recipe below, and give these a try for an upcoming party – I guarantee they’ll be a hit. Served in a bowl with some toothpicks, or with bruschetta on the side – everyone will be asking you for the recipe! 1. Preheat the oven to 425F degrees. 2. In a medium bowl, combine all of the ingredients and mix well. Transfer the olive mixture to a foil lined sheet pan. 3. Bake for 20 minutes. Cool then transfer to a bowl or platter. Serve at room temperature alone, or with bruschetta. 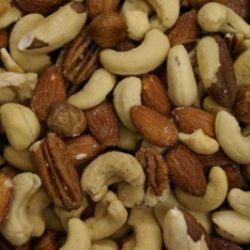 They are terrific for an appetizer or just sitting around with friends and having something to nibble on. People forget how great they are! Roast olives are great, aren’t they? I have made any for ages – you’ve reminded me I’ve been missing out. Really nice recipe – thanks. It’s a great recipe and so simple. Of course you can make it your own by adding in other herbs and spices. I would never be tired of olives. They are so appetizing. Love your square serving bowl set too. I agree olives are so delicious! My bowl is part of a set from Pampered Chef. A friend of mine works for them and invited me to her party – that’s part of what I purchased. I have never roasted olives. Sounds interesting…Need to try this. They’re delicious and it enhances the flavor. I hope you’ll try them. I agree with you and John, roasted olives are delicious…the heat seems to intensify their wonderful flavor. Definitely – I hope you’ll try my recipe. Thanks for stopping by. WOW! I’ve missed a lot while on vacation! Glad I didn’t miss these. 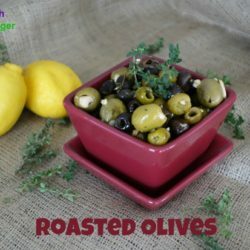 I’ve never had roasted olives but that has got to change! These do look quite good Vicki! Hope you and your family have a wonderful holiday season! A beautiful present to bring to any dinner party. Merry Christmas and a Happy Blessed New Year. Hi Vicki! 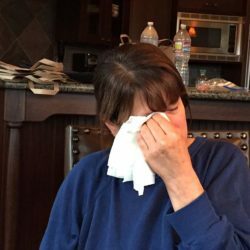 Every time I stop by I am flabbergasted at all the recipes you make and I love them all. So much that I stay for hours drooling at all the photos at some of your posts. You are an amazing cook and teacher, and I look forward to seeing more in the new year! Have a Merry Christmas!! 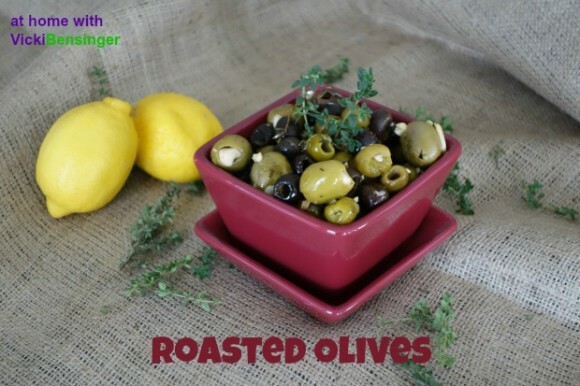 I’ve never tried making roasted olives but we do love olives so I can’t wait to try this! Hi Vicki , just passing by to wish you and your family a Merry Christmas and a Bountiful New Year !!! Sounds like a gorgeous idea for an appetizer. Happy Hoildays to you and your family! These look so lovely and a perfect addition to any appetizer table! Happy New Year, Vicki! 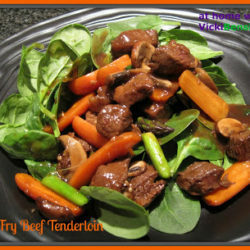 It is a simple recipe but looks so very delicious. I can only imagine the aromatic smells coming out of my kitchen when I roast these olives. 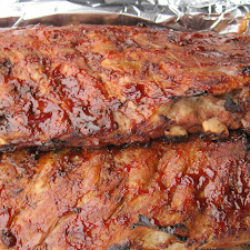 I am looking forward to experimenting with this recipe over the weekend. Thanks for a wonderful idea.